JCB is Japan’s only international credit card brand. In April 2017, they established an innovation department that actively looks to use new tech. 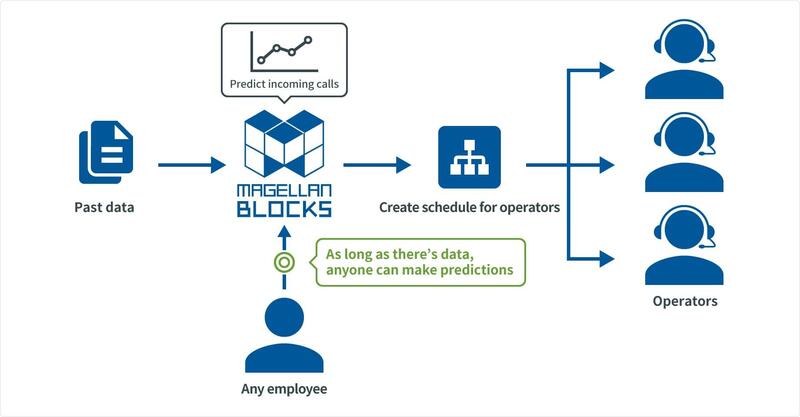 Use Case: Proof of concept model predicts the number of incoming calls with 99.8% accuracy. JCB, the only international credit card company from Japan, has a support centers across the country to handle calls from customers. 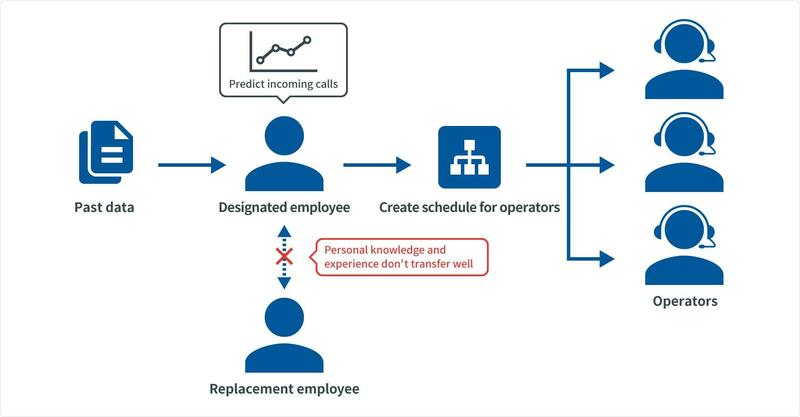 Since the number of incoming varies greatly by the day and time, designated employees had to rely on their intuition and experience to predict calls and schedule operators. Differences in knowledge and experience led to varying accuracy, and these skills didn’t transfer well to others should the designated employees retire or transfer positions. JCB was looking for a better, more consistent way to predict calls and schedule their operators. Using two years worth of call data, JCB built a proof of concept with the Model Generator (Regression Type) in BLOCKS that predicted the number of incoming calls with 99.8% accuracy. With the new model, JCB can make more accurate, reliable schedules for operators. Also, as long as there is data, any employee can use BLOCKS to make predictions. Impressed with their results, JCB are now moving forward with plans to use BLOCKS in other ways.